You are at:Home»Posts Tagged "Camillo Gonsalves"
Crime fighting initiatives will be one of the areas of focus this year, which will be further outlined in the budget presentation on February 4th 2019. The newest coast guard vessel “Captain Hugh Mulzac” was commissioned here on Monday at the Cruise Ship Terminal in Kingstown. Businesses and Traders from St. Vincent and the Grenadines can resume paying for their goods in Trinidad using US currency. Minister of Finance Camillo Gonsalves has said that he considers fees charged by banks for certain services to be shocking and unacceptable. Minister of Finance, Camillo Gonsalves, says the inland revenue department plans to institute legal action against those who have not paid up their taxes. Young ladies in SVG are being encouraged to use technology to enhance their life and make and impact in the society. Minister of Finance Camillo Gonsalves says there are exciting times ahead for SVG’s tourism product. Prime Minister Dr. Ralph Gonsalves has resigned from the Monetary Council of the Eastern Caribbean Central Bank. The first anniversary of operation of the Argyle International Airport (AIA) was celebrated on Saturday evening with a rally hosted at the site. 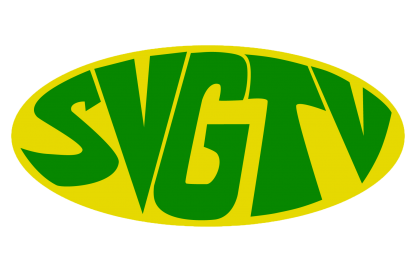 At 25.5 percent THC content, SVG can boast of having the best marijuana plant around. Tax reduction measures along with the implementation of a climate resilience levy were a few of the highlights in the 2018 budget presentation delivered in parliament on Monday afternoon by new Minister of Finance Camillo Gonsalves. Finance Minister Camillo Gonsalves said the 2018 budget builds upon the plans and policies which were outlined in the 10 Point Focus Plan of the 2017 budget. Former fashion model Yugge Farrell is now out on bail and is expected to return to court on December 17th 2018. General Secretary of the ruling Unity Labour Party (ULP) Julian Francis says the opposition New Democratic Party (NDP) is desperate to get into political power, and is using the Yugge Farrell case for political mileage. The National Council of Women (NCW) has given the assurance to the family of Yugge Farrell that the eyes of the organisation is on the case and that a call will be made for women’s groups across the Caribbean to stand in solidarity. Strong concerns have been expressed over the drugs administered to former fashion model Yugge Farrell, who was re-committed on Monday for another week at the Mental Health Institution. Former fashion model Yugge Farrell will have to undergo another week of observation at the Mental Health Institution. Leader of the opposition New Democratic Party Dr. Godwin Friday has made another call for Minister of Finance Camillo Gonsalves to resign from his post. In a news release issued on Wednesday evening the St. Vincent and the Grenadines Human Rights Association (SVGHRA) appealed to the public to refrain from publishing and republishing defamatory material and notes surrounding the Yugge Farrell saga.